This new year of 2019 will find us continuing the enormous amount of change and transformation that began last spring. Join me as I welcome Dr. Michael Lennox for a dynamic conversation about the astrological forecast for 2019. This enormous shift in consciousness that began in 2018 will wrap up in the first few months of this year. Then we begin preparation for 2020, one of the biggest energetic years any of us alive today have ever seen. 12:00 - How do you percieve the chaos of your life? A practicing astrologer for more than fifteen years, Dr. Michael Lennox’s popular blog site and daily column on astrology is read by thousands of people every day and he attracts clients from all over the world. 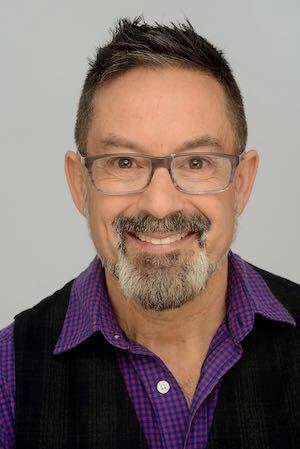 Michael is also internationally known as a dream interpreter, and he is the author of Dream Sight: A Dictionary and Guide for Interpreting Any Dream; and Llewellyn's Complete Dictionary of Dreams. His latest book is The Little Book of Dreams. Dr. Lennox has been seen internationally by millions of viewers on many television shows, as well as local news broadcasts across the country. Find out more about Michael and his work at michaellennox.com.